After winter seemed to be on hiatus for much of December and into early January, winter came roaring back to parts of the central and eastern United States this past weekend, as a storm delivered heavy snow to much of the Midwest and Mid-Atlantic States. Missouri was hardest hit, with St. Louis Lambert International Airport reporting 11.2 inches of snow by Sunday. It was the area’s largest snowstorm since March 2013. Even higher totals were recorded to the northwest of St. Louis, with Montgomery City, MO – located between St. Louis and Columbia – measuring 20 inches of snow. 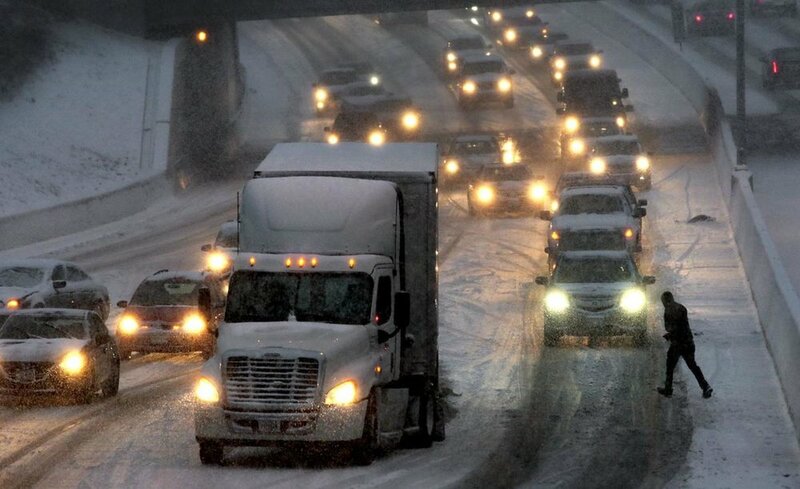 The storm left thousands of drivers stranded in Missouri alone. Farther east, the Washington, DC area received its largest snowfall in years with this system. Reagan International Airport measured 10.3 inches of snow by Monday morning, its largest snowstorm since January 2016. But the largest snow total in the area was found near Damascus, Maryland – to the northwest of Washington DC – where 13.2 inches of snow were reported. Looking ahead, computer models are suggesting that more winter storms are likely over the central and eastern U.S. going forward among with shots of very cold air. A strong storm is expected to threaten the area this upcoming weekend, through current projections have the bulk of the wintry weather impacting the Great Lakes to New England, regions that missed out on the previous system. However, long-range computer guidance is suggesting the weather pattern will be quite favorable for winter storms in the entire region for weeks to come.